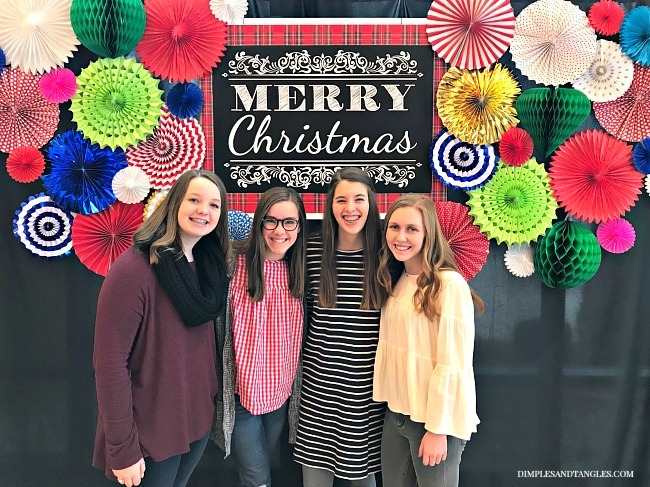 Over the weekend my family helped me put together some photo booth backdrops around our church for families to use this Christmas season. For the past few years there have been several stations set up around the church for people to stop and take photos with friends and family, I think it's such a great idea! 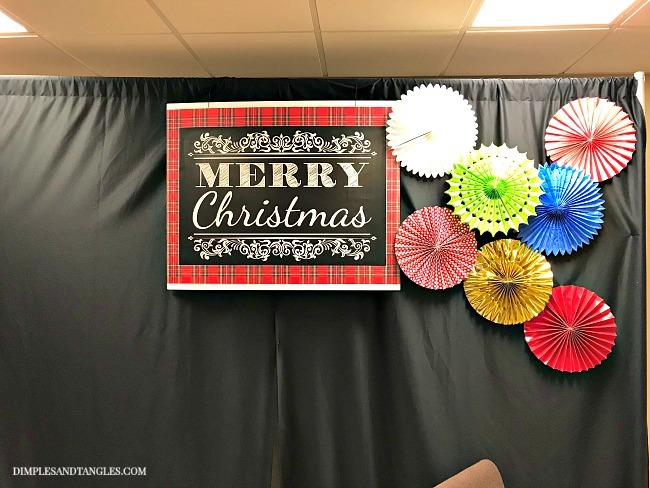 I always like to share decor for church events with you here, too, because I know several readers like to adapt these ideas for their church. 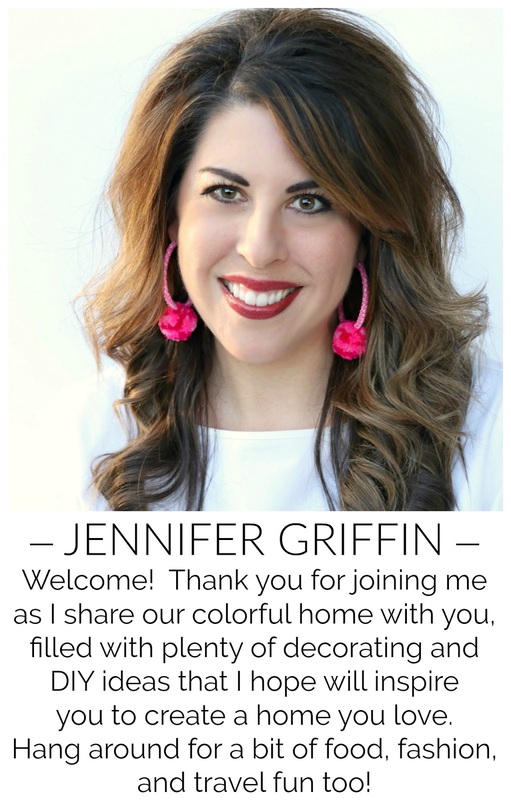 However, most of them can also be adapted for party decor or even switched for different holidays or birthday parties if you work with the basic theme idea and just change the specifics or colors according to your occasion. 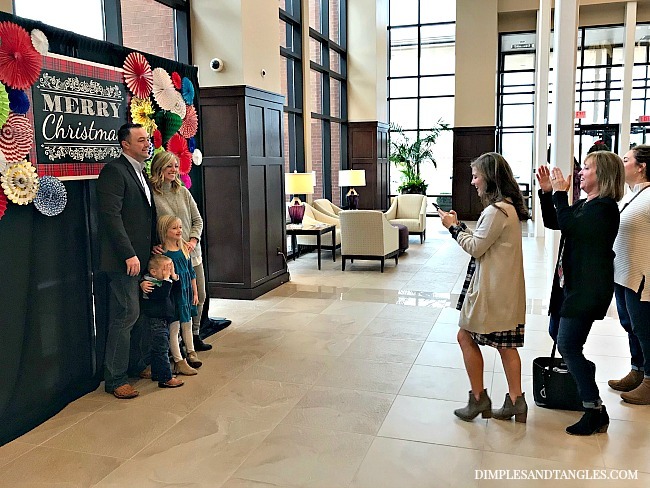 I wanted our photo backdrop areas to be large enough that even with a larger group of people, the photo could be framed so that none of the surrounding area showed in the photo, only the background. 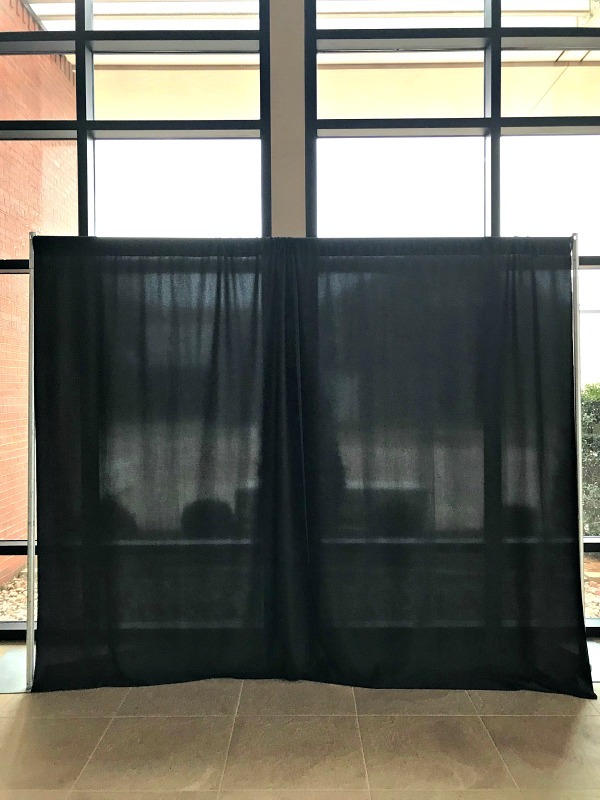 We used sections of pipe and drape curtains that are free standing, but I also considered covering a section of blank wall with black butcher paper which would have worked just as well. 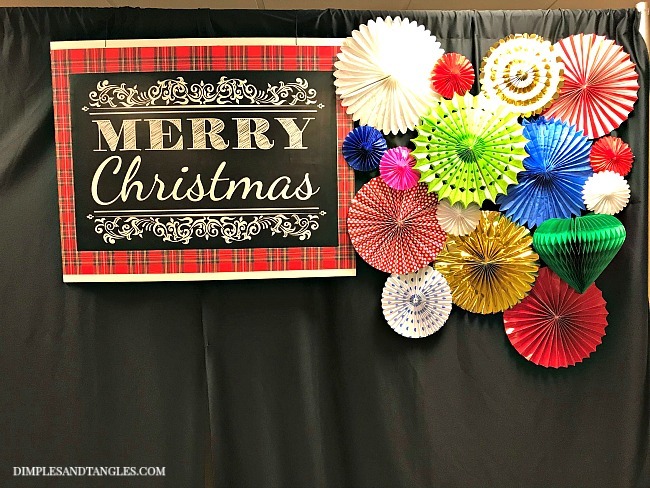 I made a Christmas sign for each backdrop by starting with a large piece of foam board and covering it with wrapping paper (attached with spray adhesive to avoid paper wrinkling). I intended for the plaid paper to fully cover the foam board, but it was not quite wide enough. I thought I might piece the paper together to cover it all, but ultimately decided that I liked the bit of white border across the top and bottom, especially knowing that it would be on top of a black background. 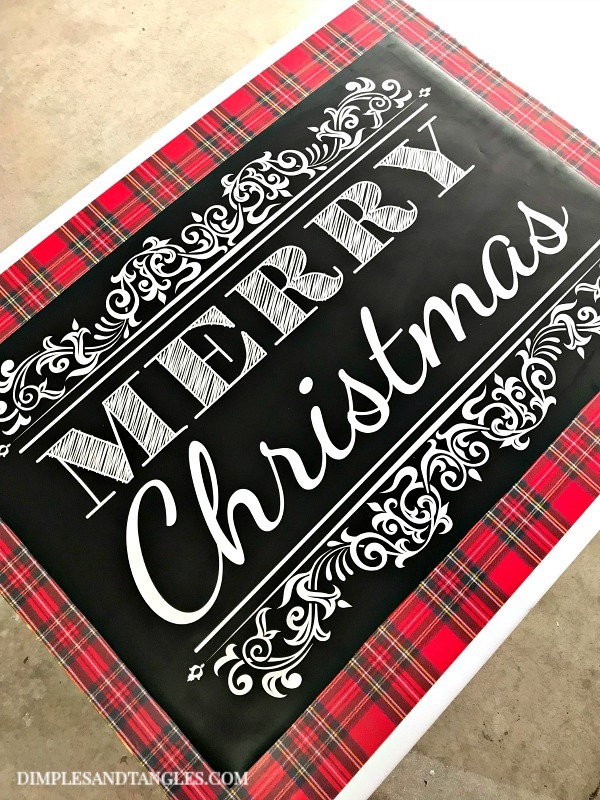 I purchased a 24x36 Merry Christmas download printable which we printed off at the church (or any copy center could print for you), trimmed it and then attached it to the top with more spray adhesive. The first step was to hang the sign. To do so, I poked two small holes across the top of the foam board, then threaded some twine through them. I looped the twine across the top of the drape and pinned with a safety pin on the back of the curtain. The foam board is light weight so it wasn't difficult, the hardest part was getting it straight! After the sign was up, I placed the large fans first. Just a note, I trim off the ends of the cardboard fans that attach a loop of string to hang them with, leaving just the circle fan (without anything sticking out of the edge). Some of them have a self adhesive closure, or I use a tiny drop of hot glue to hold them open in place. They are so light weight that I attached them to the curtain using a straight pin, sometimes 2 if it needed to be a bit more secure. If I was using paper on a wall rather than a curtain, looped masking tape works well to attach them too. After the large fans were hung in the general fashion I wanted, I added in some medium size and small fans to fill out the design and fill in empty spaces. After the large fans were secured at the beginning, some of the other fans were layered on top and I used small drops of hot glue to secure those on top of the bottom layer of fans (gluing the fan on top in a small inconspicuous spot to the fan underneath it). Using the glue here and there also helped to secure any loose ends and add stability where fans were layered. Obviously, I didn't glue anything directly to the curtain, I only glued fans to other fans that were attached to the curtain with the pins. I repeated on the other side, trying to make the general shape of the design similar but varying the colors. It was fun to see people stopping to take a photo at church yesterday! Hopefully I'll get MY family in front of one of these this week! 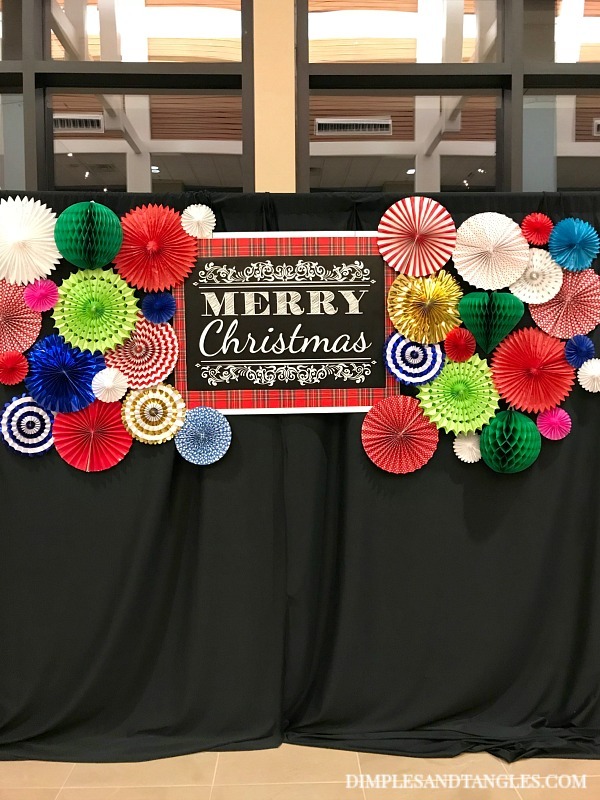 See other church decorating and event decor ideas here. *This post contains affiliate links for your shopping convenience at not extra cost to you. Read our full disclosure policy here. 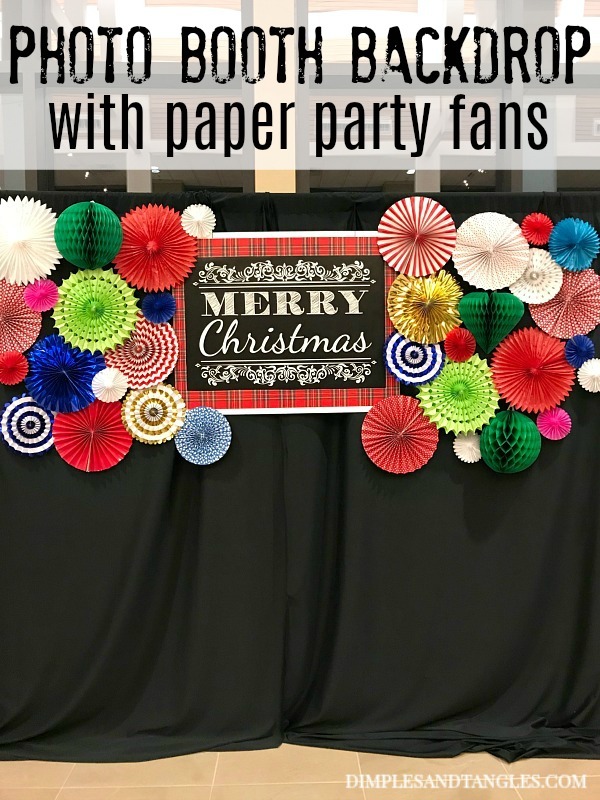 Paper Fans- Hobby Lobby, Walmart, Party Galaxy, and Target. Great assortment online here, this set is one of my favorites. 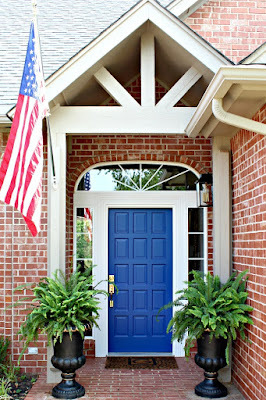 Oh my gosh what a neat idea. Super creative! I will keep this in mind for next year! Beautiful backdrop for a photo booth. I'm surely keeping this idea for my sister's wedding in June.